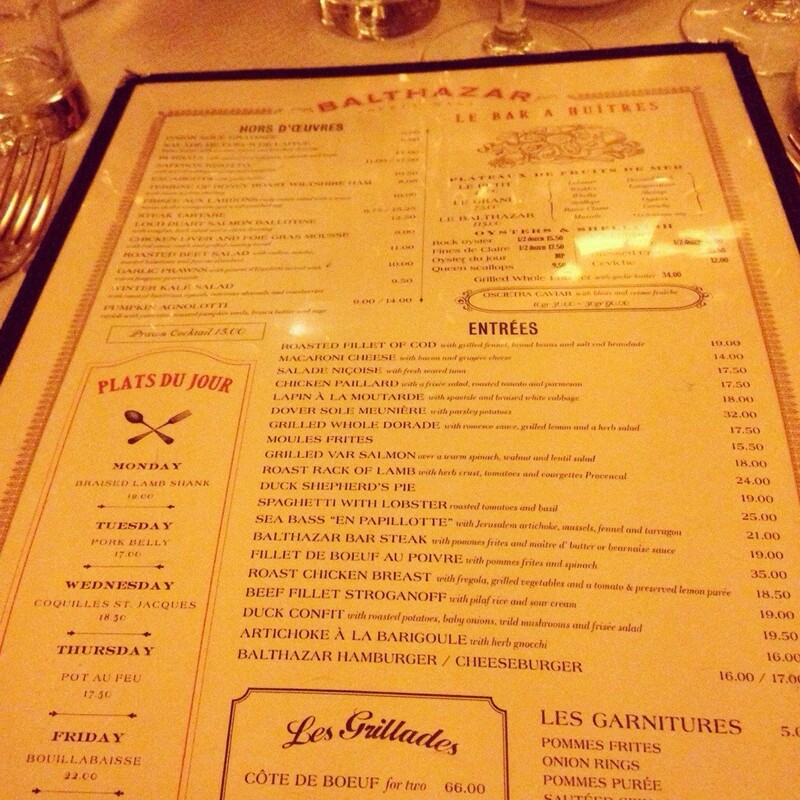 The Balthazar London menu includes all the favourite French classics with a clear and heavy bias towards seafood. It took us all some time to decide what we wanted – everything looked and sounded so good. In the end, my heart chose a decadent bowl of French Onion Soup and the head ordered a much lighter roasted cod fillet for my main. 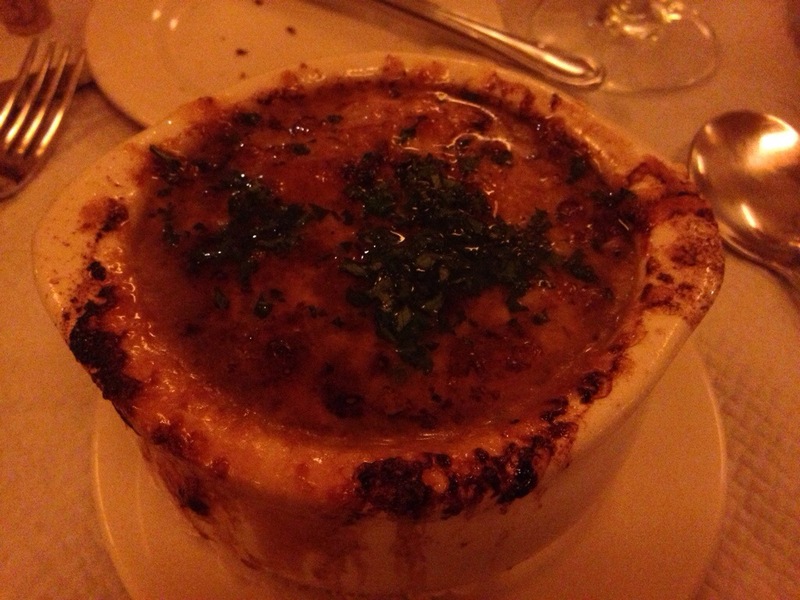 It had been a few years since I last had French Onion Soup so this was definitely a treat. The cheese was stringy but the soup broth was bursting with flavour and comfort. The soup was quite heavy so I was glad to have a friend share it with me. 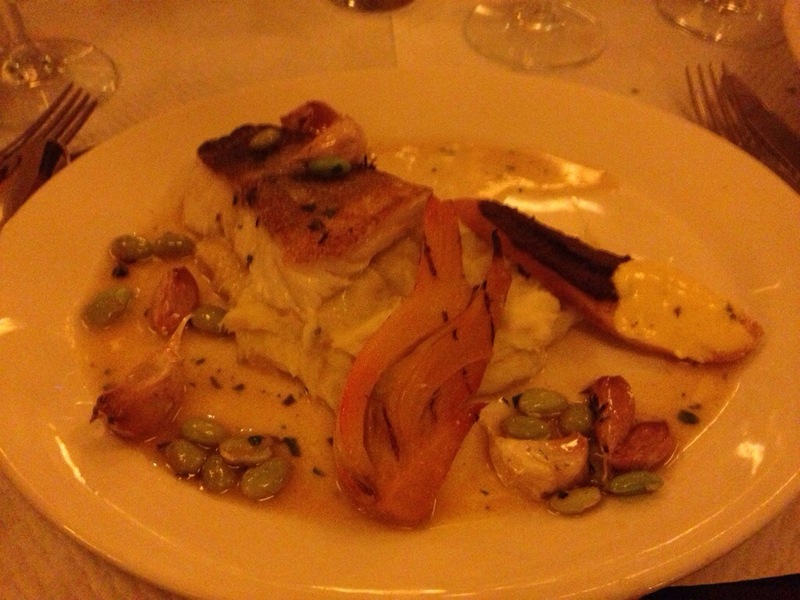 The lightness of the cod was needed after the heavy soup and although it was enjoyable, it wasn’t anything special. Oh well. What was memorable were the few bites I had of Mr. A’s Lobster Spaghetti – the flavours were outstanding and I was left picking away at my cod, with a major case of food envy. I had done my research before our meal and knew exactly what to order for dessert. 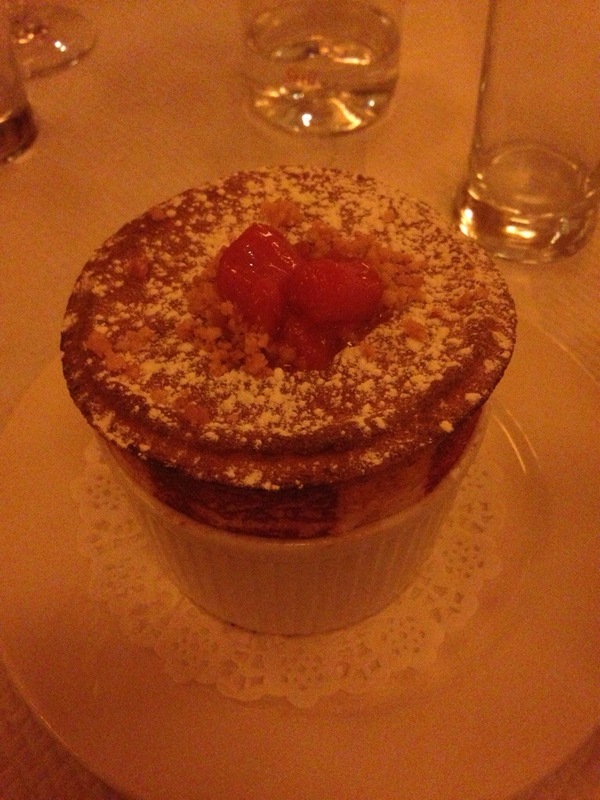 The delicious Rhubarb Souffle, a Balthazar specialty, is served with a warm custard and is simply, amazing. 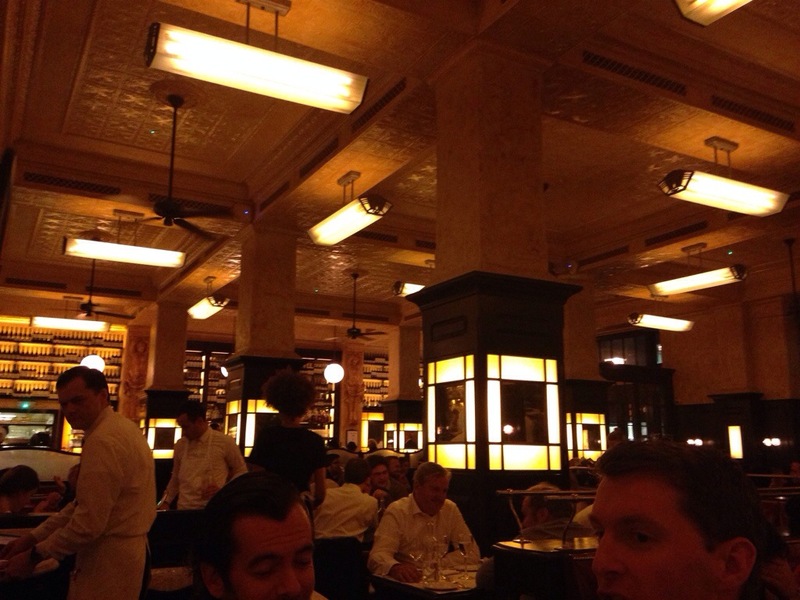 Balthazar was an enjoyable meal, complete with great wine and company. 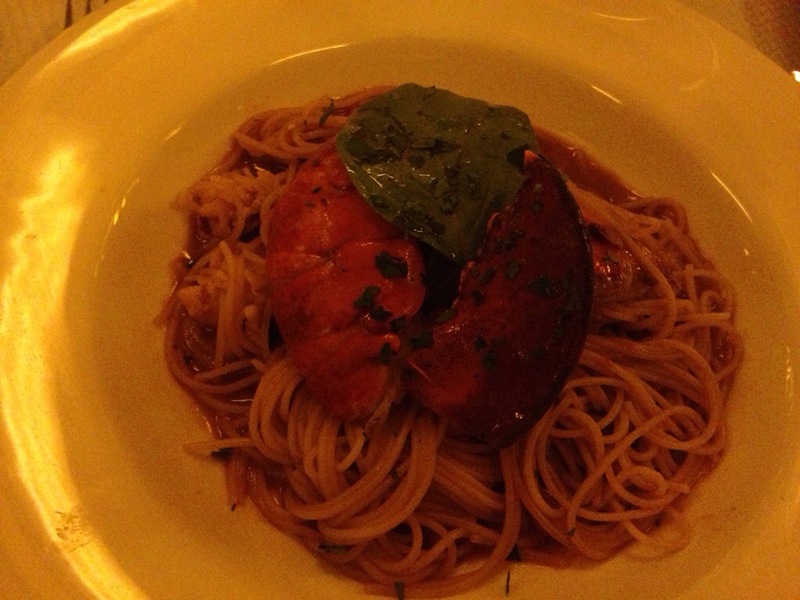 I am already plotting another visit just to indulge in my own plate of lobster spaghetti. Balthazar also offers an brunch menu and a boulangerie next door to the main restaurant where you can get amazing French breads, quiches and more. Yum!